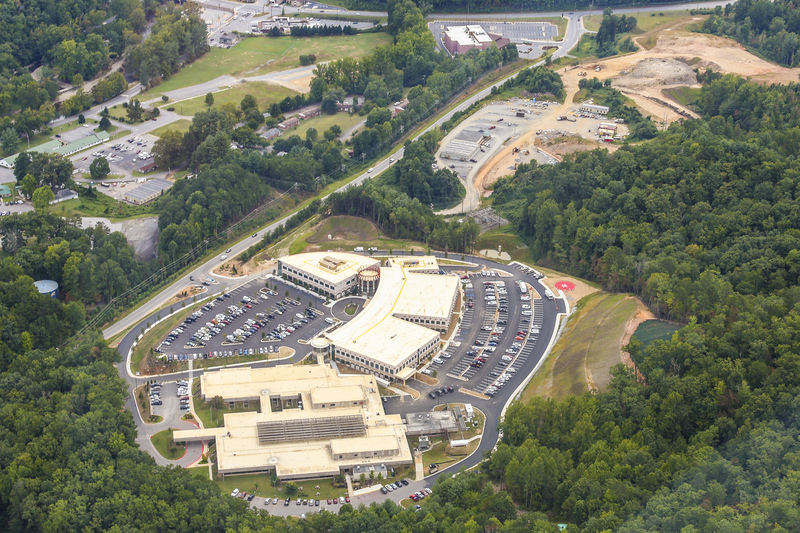 The AnMed Health Systems project is a major additions and renovations upgrade to an existing medical center in Anderson, South Carolina. This endeavor consisted of three main sub-projects: 1. A state-of-the-art Women’s & Children Health Pavilion complete with labor & delivery, postpartum, caesarean, and neonatal care facilities; 2. A Cancer Treatment Center providing diagnostic and treatment care as well as educational and preventive care strategies; 3. 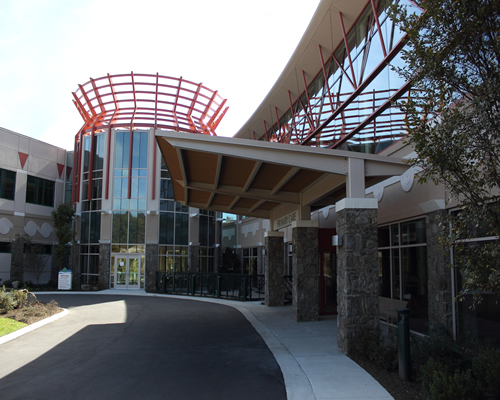 A Cardiac & Orthopaedic center which houses the AnMed Health Physician Surgery Center as well as providing physical, occupational, and speech therapies. 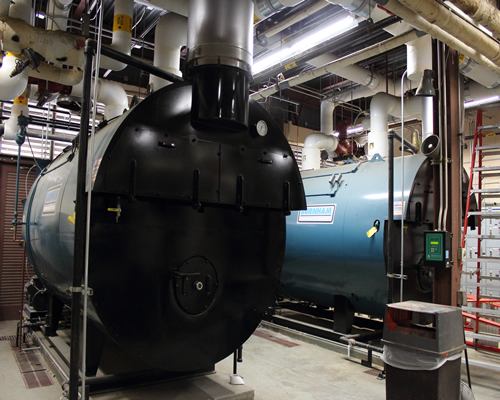 The Women’s & Children Health Pavilion project involved major upgrades to the chilled water plant, steam plant, and medical gas systems with distribution through utility tunnels. Also included was custom air handling equipment with an emphasis on pressurization control within the facility using supply/exhaust/outside terminal air unit distribution. The project also included domestic water, sanitary sewer, storm sewer and medical gas systems. 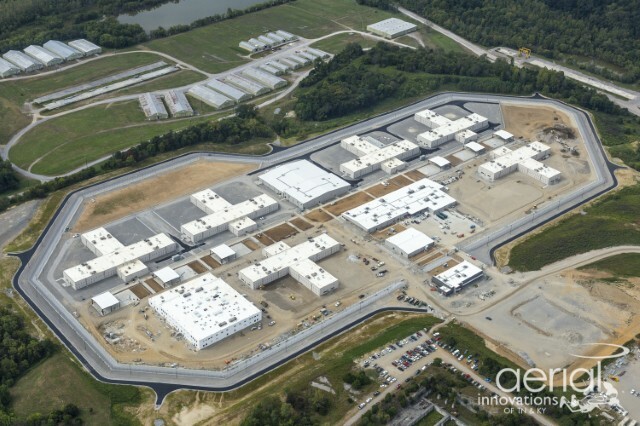 The Coffee County Jail in Manchester, Tennessee, is a new 78,000-square-foot county detention center consisting of a 384 bed jail facility, kitchen/laundry facility, program facilities, medical facilities, and prisoner processing and booking facilities. Rock City Mechanical worked with the general contractor in a design/assist role from the schematic design stage through construction documents and was ultimately awarded the project in a qualified bid process. 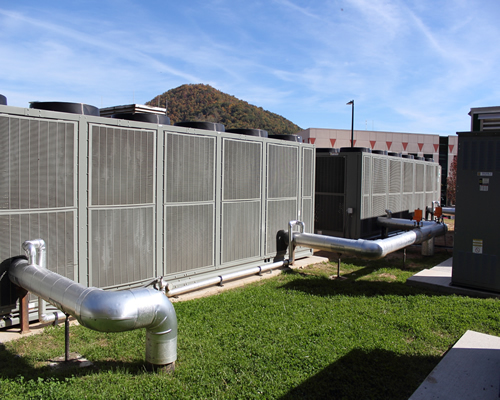 The mechanical systems for the facility included direct expansion (DX) rooftop air handling equipment with duct distribution systems, specialized exhaust systems, and building automation system. The plumbing scope on the project consisted of sanitary and storm drainage systems, grease waste, domestic water, and natural gas systems. 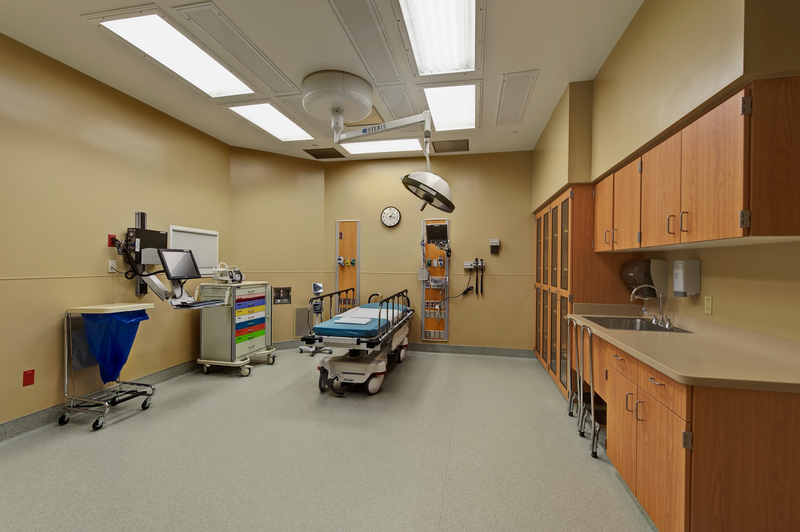 The Community Health Systems Sky Ridge Medical Center additions & renovations in Cleveland, Tennessee, project consisted of a 37,000-square-foot tower addition that included an emergency/trauma department, eight (8) operating rooms with sterile suite, and a 34-bed patient floor. 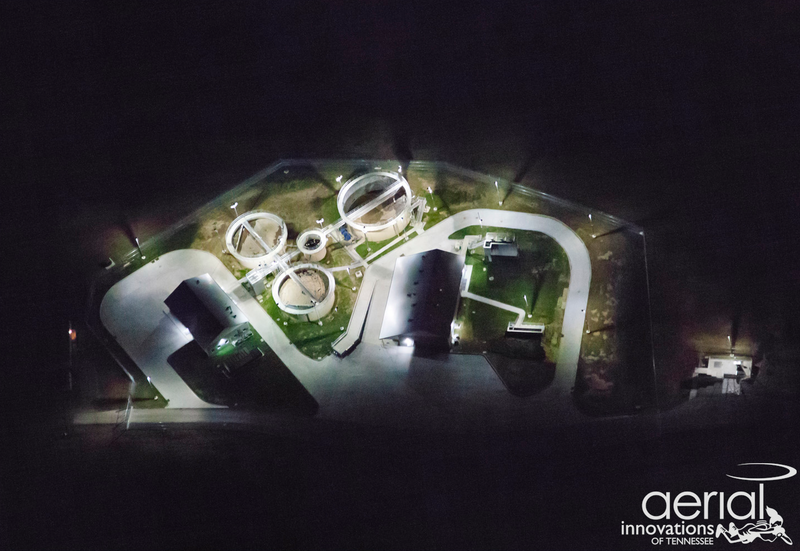 Additionally, there was a major expansion of the central energy plant that included the addition of a 600-ton chiller and tower, three 200-horsepower steam boilers, and extensive chilled water and steam distribution through utility tunnels. 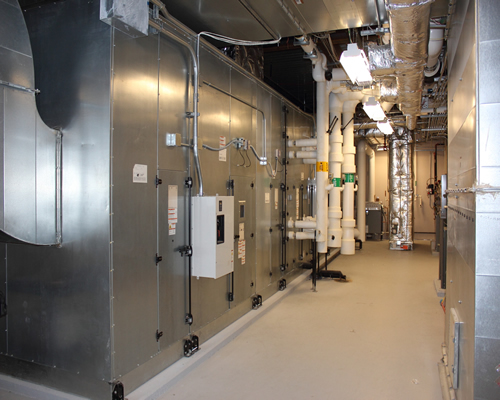 The addition also included chilled-water indoor air-handling units with duct distribution systems, chilled-water piping, steam to hot water heat exchangers, steam and condensate piping, heating hot water piping, and medium- and low-pressure duct distribution systems. The plumbing scope on the project consisted of sanitary and storm drainage systems, acid waste systems, domestic water, and medical gas systems. 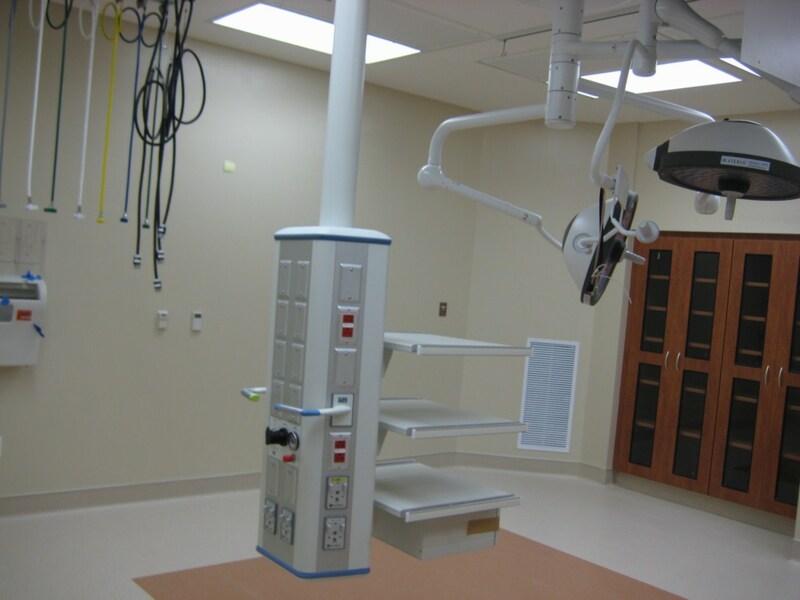 This scope was successfully achieved while maintaining the function and operation of the existing facility. 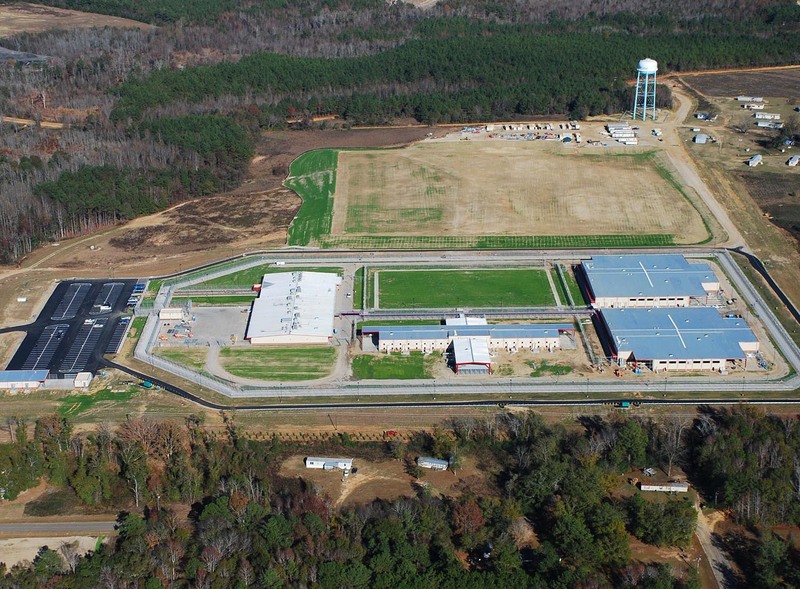 The Corrections Corporation of America (CCA) Jenkins County Correctional Center in Millen Georgia, is a 182,000-square-foot greenfield facility that includes one cell housing unit, two dormitory housing units, a programs building, kitchen/laundry building, medical facilities, and administrative facilities. The project was a design/assist fast-track delivery project with a twelve-month overall design/construct duration, with the construction piece being eight months. Rock City Mechanical was awarded this project based on a cost plus guaranteed maximum price contract, and we successfully delivered the project and all startup and commissioning requirements on time to the satisfaction of the owner and design professionals. 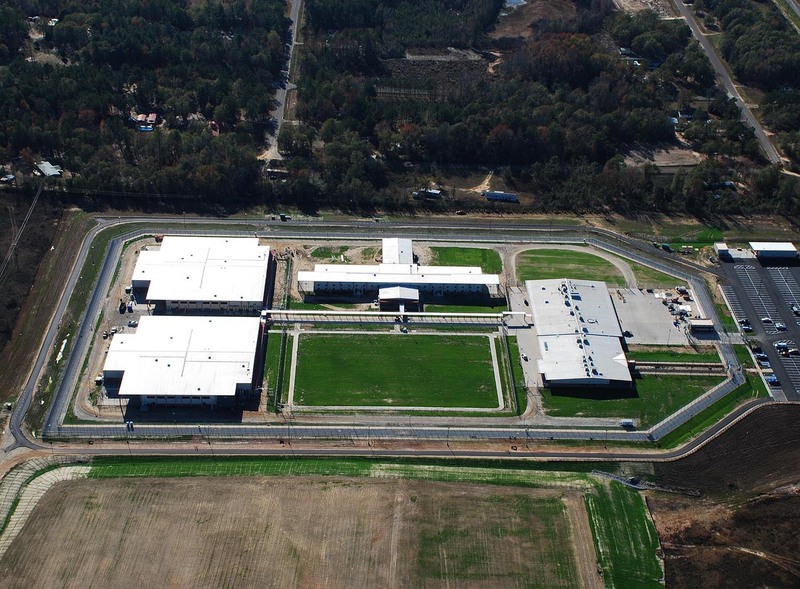 The Corrections Corporation of America (CCA) Tallahatchie County Correctional Center in Tutwiler, Mississippi, is a multi-phased addition to an existing facility that includes four housing units, a programs building, kitchen/laundry building, and medical building. 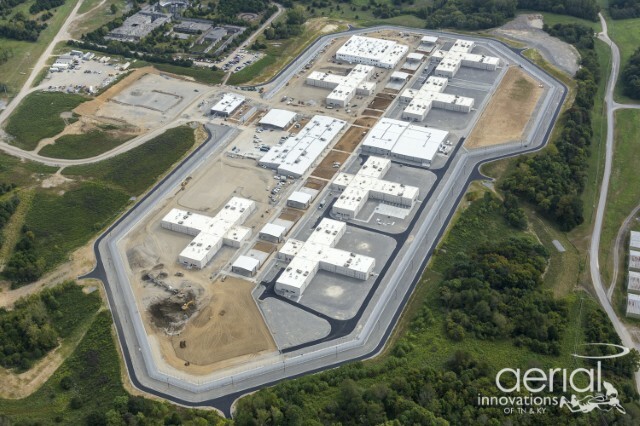 The project was a fast-track delivery project predicated on the receiving of inmates on a specified date. 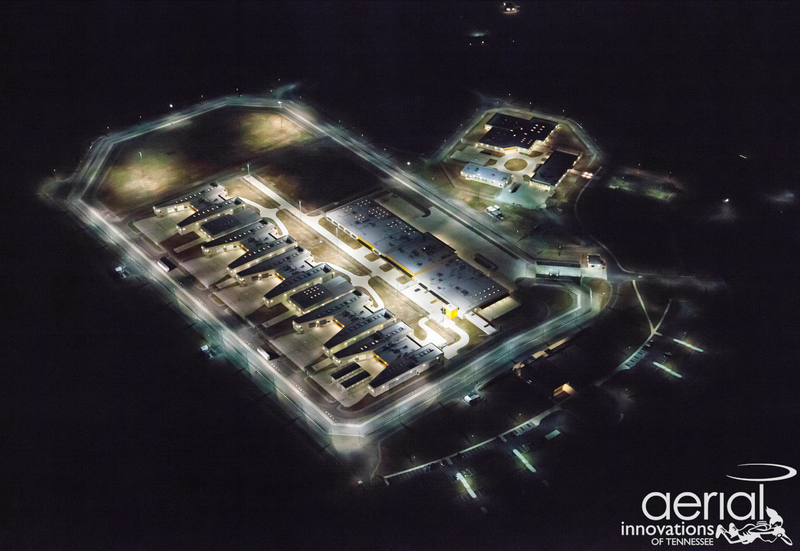 Rock City Mechanical was awarded this project based on a cost plus guaranteed maximum price contract, and we successfully delivered the project and all startup and commissioning requirements on time to the satisfaction of the owner and engineers while maintaining the operation of the existing prison facility. 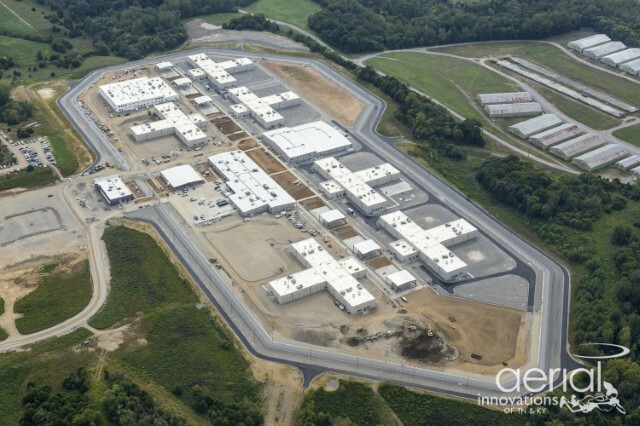 The Corrections Corporation of America (CCA) Trousdale County Turner Correctional Center project is a fast-track new greenfield prison facility. The project consists of six housing units, one dormitory building, educational/training facilities, kitchen/laundry facilities, medical facilities, and administrative facilities, all totaling over 485,000 square feet under roof. Rock City Mechanical worked closely with the owner, general contractor, and design professionals to develop and ultimately install the plumbing and HVAC systems for the facility. This is a LEED project incorporating energy efficiency and sustainability by providing such operational enhancements as water management, energy recovery, and measurement and verification functions into the building management system for the facility. The mechanical systems for the facility include direct expansion (DX) rooftop air handling equipment with duct distribution systems, energy recovery systems, specialized exhaust systems, and building automation system. The plumbing scope on the project consisted of sanitary and storm drainage systems, grease waste, domestic water, and natural gas systems. The facility is on track for a fifteen-month construction duration and is expected to be completed, certified, and commissioned by fall of 2015. 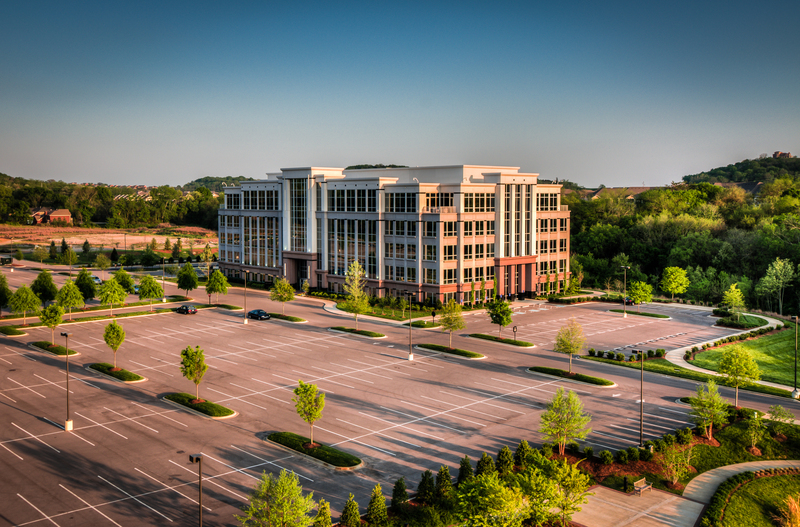 The Crescent Properties One Greenway Center project is a five-story, shelled office building in Franklin, Tennessee. 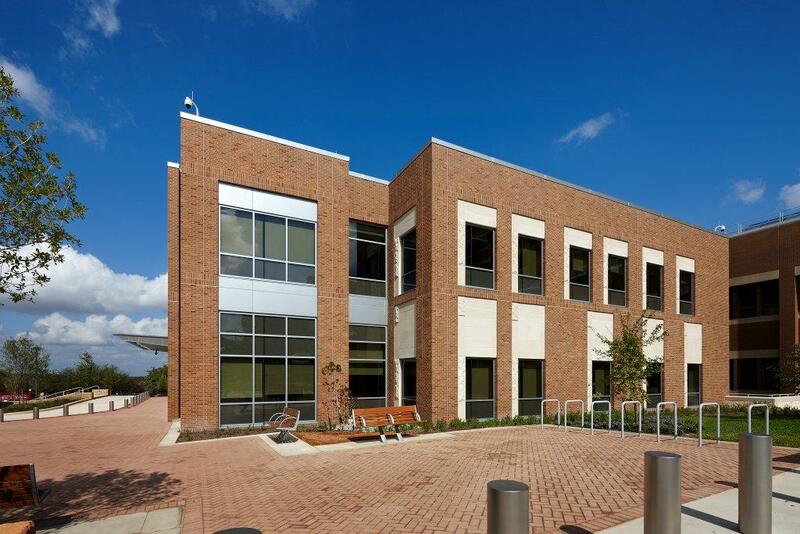 This building was designed in accordance with LEED standards to be an energy-efficient, sustainable office building. The project involved packaged water cooled air handling equipment, enhanced filtration systems, carbon dioxide monitoring for air quality, environmentally friendly refrigerants, and low-flow toilet fixtures. Rock City Mechanical provided and installed plumbing and HVAC systems for this project including HVAC equipment, hydronic piping, ductwork and air distribution, plumbing equipment, domestic water system, sanitary waste/vent system, and storm drainage system. It is expected that the facility will achieve LEED certification at the completion of the USGBC submittal and verification process. 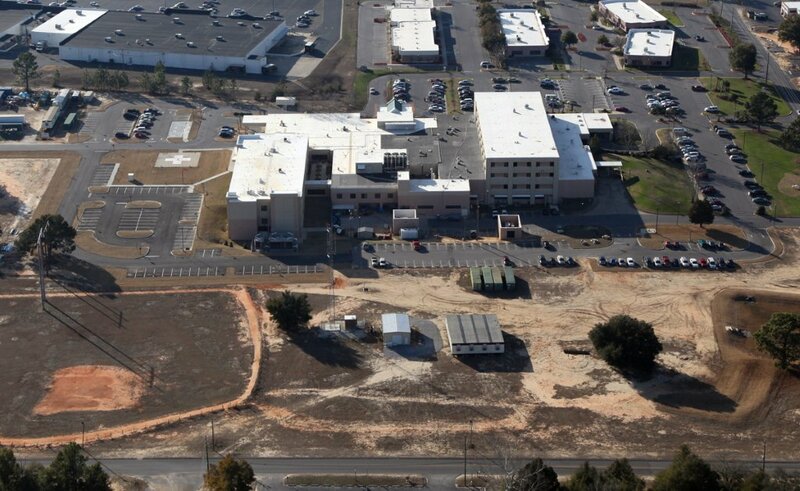 This Greenville Hospital System Patewood Memorial project is a 203,000-square-foot greenfield surgical hospital. The project consisted of a 72-bed, four-level tower with a future 36-bed fourth floor shell, a diagnostic & testing wing and MRI facility, four OR suites with four shelled future OR suites, administrative, support, and central plant services. 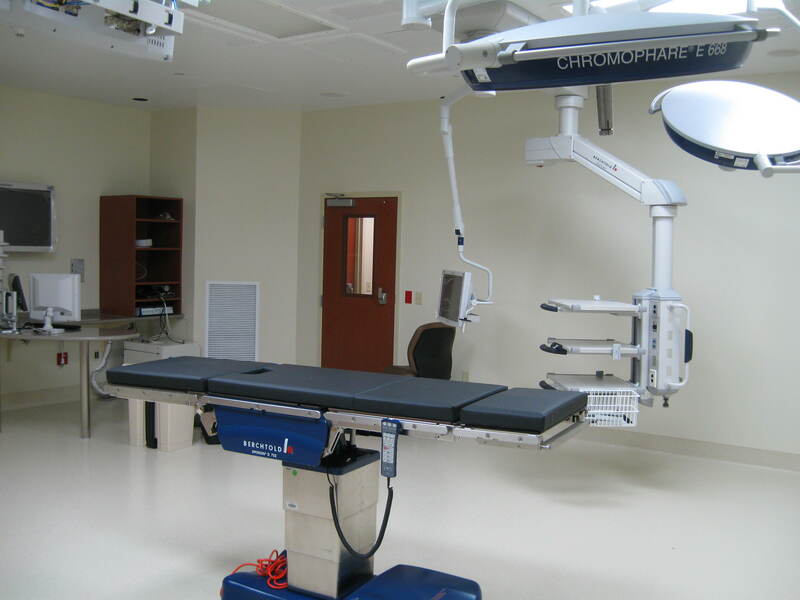 The facility was designed for elective surgery patients and does not include an emergency room department. Mechanical scope on the project consisted of chilled water indoor air-handling units with duct distribution systems, heating hot water, and steam systems. The plumbing scope of work on the project consisted of sanitary and storm drainage systems, domestic water, and medical gas systems. 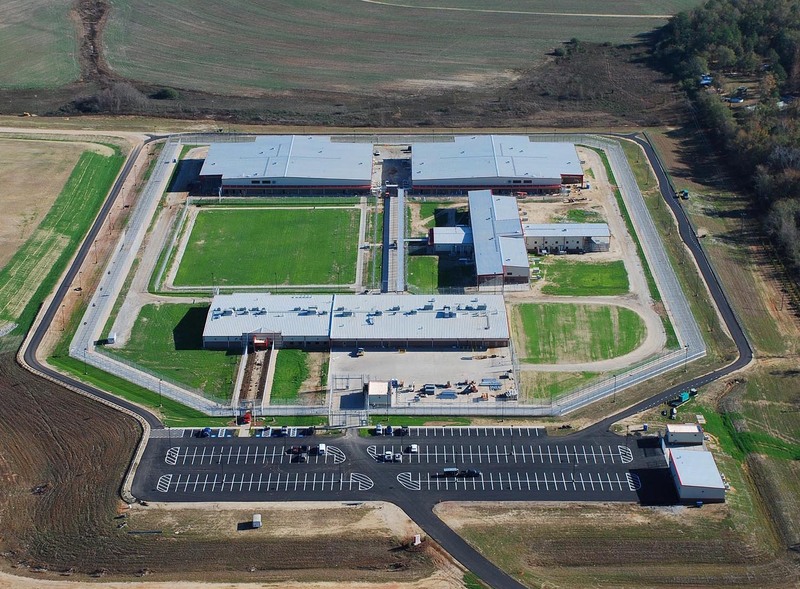 The Hardeman County Criminal Justice Center Bolivar, Tennessee, is a new 72,000-square-foot criminal justice center consisting of a 154-bed jail facility, kitchen/laundry facility, program facilities, medical facilities, and prisoner processing and court room facilities. 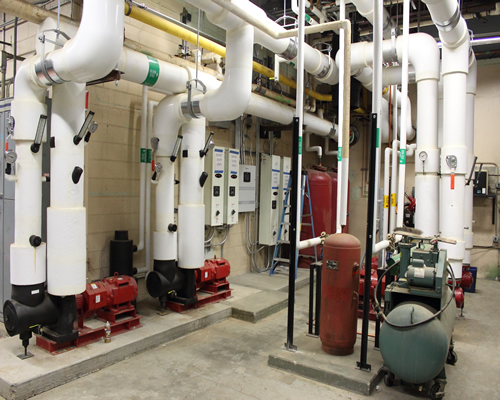 The mechanical systems for the facility included direct expansion (DX) rooftop air handling equipment with duct distribution systems, specialized exhaust systems, and building automation system. The plumbing scope on the project consisted of sanitary and storm drainage systems, grease waste, domestic water, and natural gas systems. 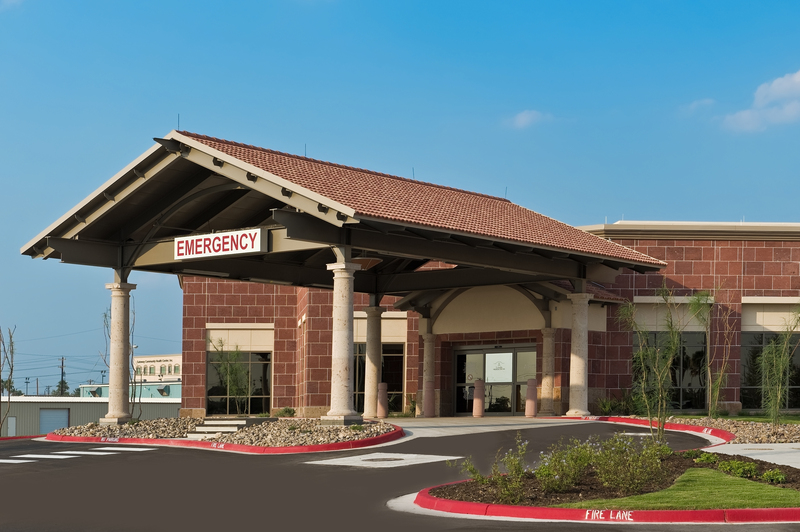 The Laredo Medical Center ER Addition & ICU Renovation project is a 41,500 square foot, 1st Floor Emergency Department addition and renovation of the old ED into an Intensive Care Unit. 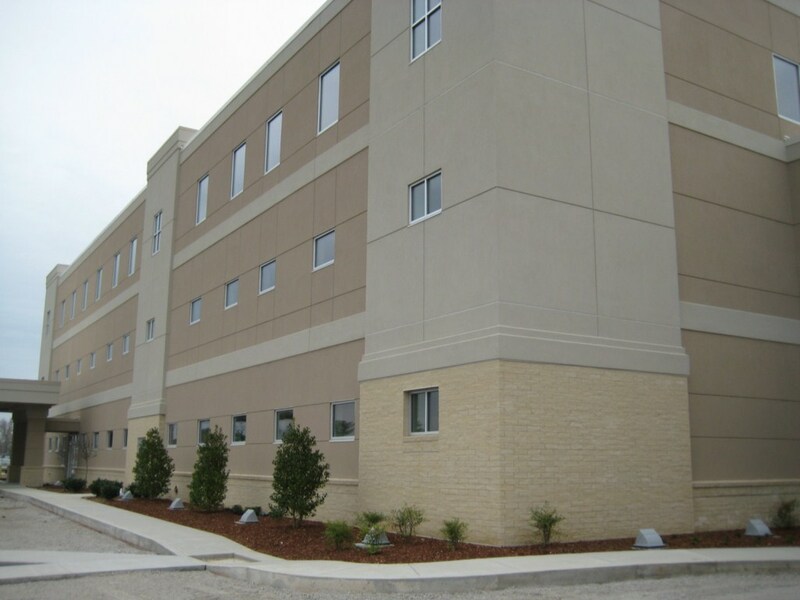 Rock City Mechanical provided and installed all domestic water, sanitary waste & vent, roof drainage, medical gas and natural gas systems for this project. We also provided and installed the chilled water, steam & condensate, and heating hot water systems as well as medium low pressure duct distribution systems, building automation and mechanical insulation systems. Additionally, there was major work in the Central Energy Plant involving the addition of a secondary chilled water pump requiring a campus wide chilled water shut down. This scope of work required very close coordination with the facility’s plant operations and was successfully accomplished with minimal disruption to chilled water flow and no adverse effect to the function and operation of the existing facility. 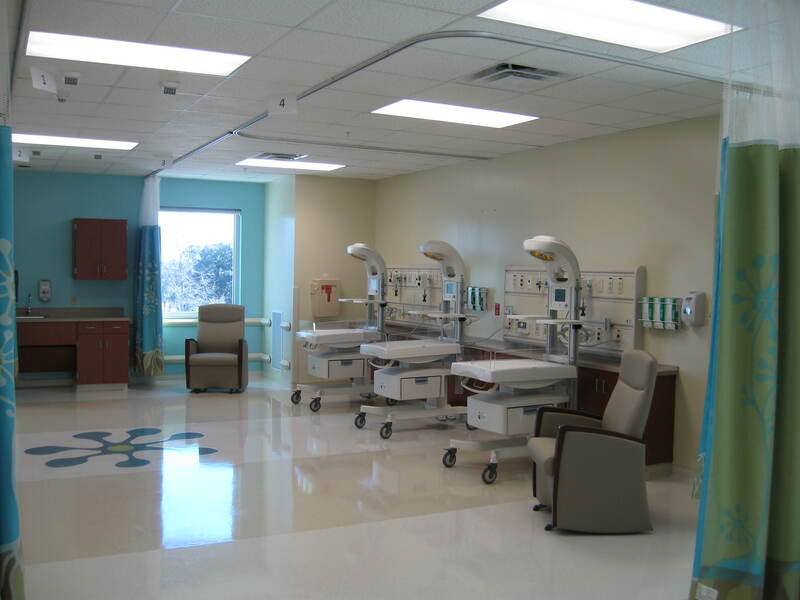 This Kindred Health project is a 70-bed, four story, Long Term Acute Care Hospital in Riviera Beach, Florida, intended to provide care for the aged, post-surgery and illness rehabilitative care, and home health care. 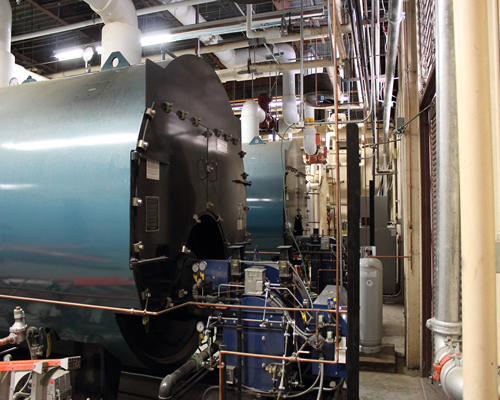 The mechanical systems in the 68,000-square-foot facility included air-cooled chillers, chilled water indoor air-handling units with duct distribution systems, chilled water piping distribution, terminal reheat zone control, heating hot water boilers and heating hot water piping distribution. 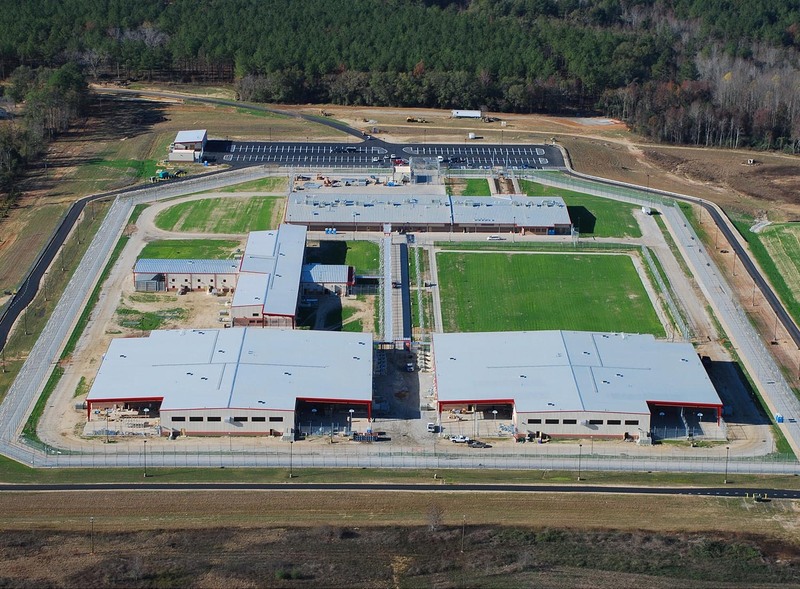 The plumbing scope on the project consisted of sanitary and storm drainage systems, acid waste systems, dialysis units, domestic water, and medical gas systems. 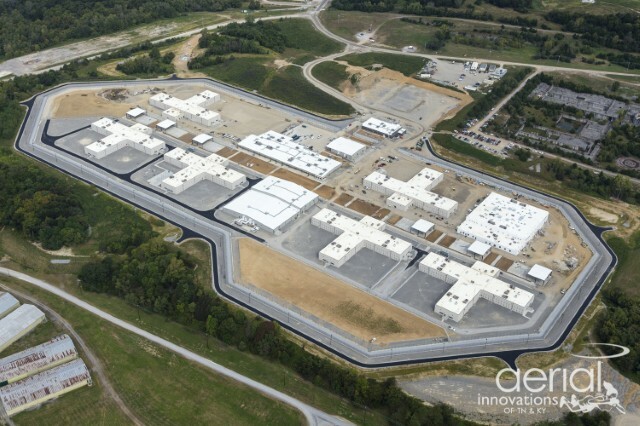 The Robertson County Jail Project in Springfield, Tennessee, is a major addition and renovation to the existing county criminal justice facility involving a 256-bed jail, kitchen/laundry facilities, and renovations to the existing jail totaling 77,000 square feet. The multi-phased project entailed extremely limited site logistic constraints and required rigorous coordination for delivery of equipment and materials and execution of the work. 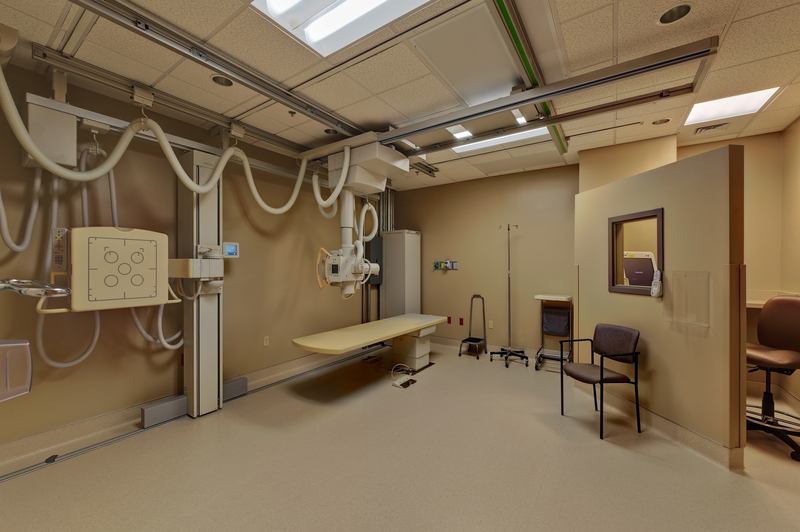 The mechanical systems for the facility includes direct expansion (DX) rooftop air handling equipment with duct distribution systems, specialized exhaust systems, and building automation system. The plumbing scope on the project consisted of sanitary and storm drainage systems, grease waste, domestic water, and natural gas systems. 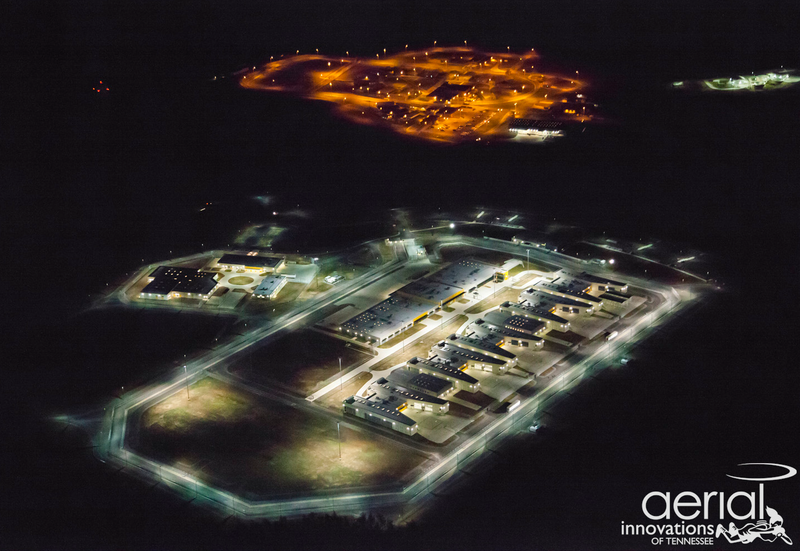 The Morgan County project is a 700,000-square-foot 26-building correctional facility for the State of Tennessee located in Wartburg, Tennessee, constructed to house medium, high, and maximum security inmates. Rock City Mechanical’s scope of work included specialized unitary rooftop equipment, medium- and low-pressure duct distribution systems, natural gas piping system, specialized exhaust systems, building automation system, sanitary waste & vent system, grease waste system, and domestic water system, all designed and installed to conform to Department of Corrections standards for regulated space conditions and to maintain or enhance the security of the facility. The Tenet Health Systems East Cooper Regional Medical Center project is a 250,000-square-foot greenfield replacement hospital. 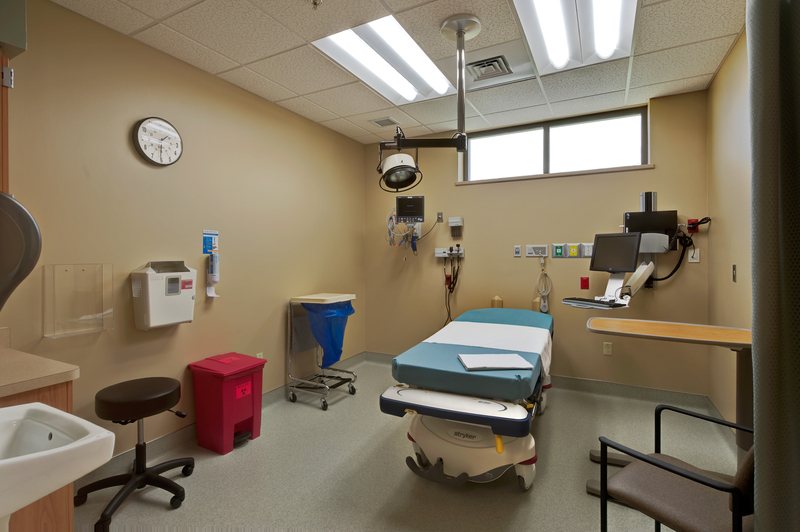 It is a full-service medical facility with a 130-bed patient tower, surgical services, diagnostic services, emergency department, and food services. The mechanical scope on the project consisted of a central energy plant, chilled water indoor air-handling units with medium and low pressure duct distribution systems, custom air-handling unit with energy recovery, heating hot water, and steam systems. The plumbing scope on the project consisted of sanitary waste & vent systems, primary & secondary storm drainage systems, acid waste systems, domestic water, natural gas, fuel oil, and medical gas systems. The central energy plant consisted of water-cooled variable-speed centrifugal chillers, cooling towers, hot water boilers, medical air compressor, medical vacuum pump, water to water domestic hot water heaters, domestic booster pump, and the piping distribution systems for these systems. Rock City Mechanical was brought on at schematic design to provide design assist services and pre-construction services to the owner, general contractor, and design professionals. The project was contracted as cost plus with a guaranteed maximum price and was delivered on time with a savings to the owner. 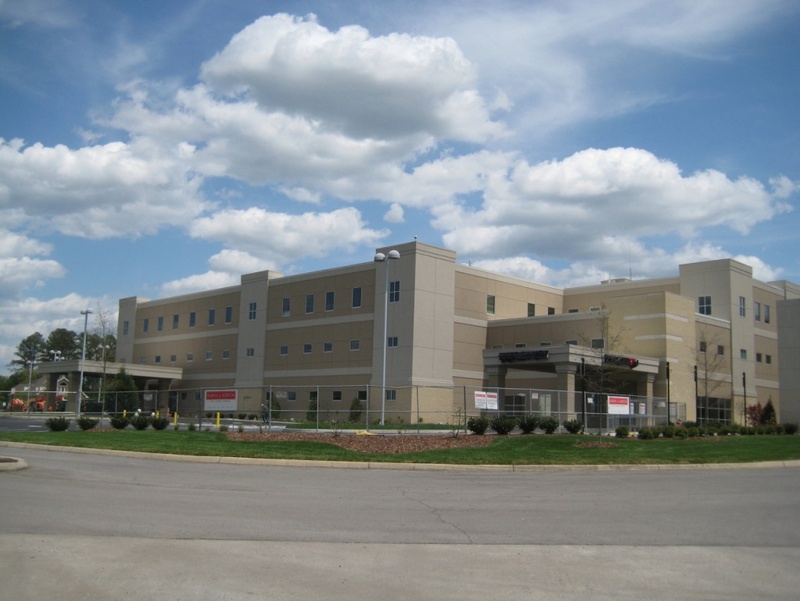 The Universal Health Services (UHS) Cumberland Hall Hospital project is a greenfield, 100-bed, 68,000-square-foot behavioral health replacement facility located in Hopkinsville, Kentucky. 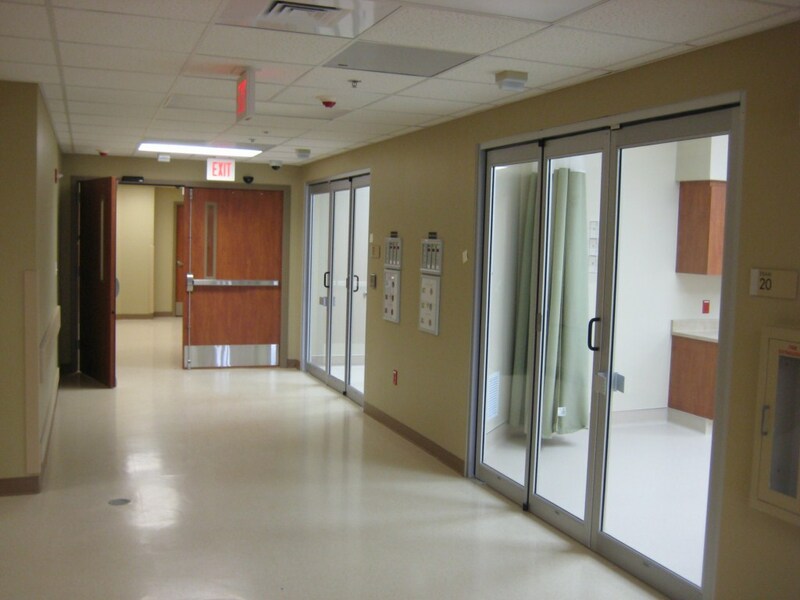 Rock City was engaged as the design/build mechanical contractor for the project and challenged with incorporating the requirements of the “Guidelines for Design and Construction of Health Care Facilities Psychiatric Hospitals” as it relates to the plumbing and HVAC systems. The project was also Rock City’s first Integrated Project Lean Delivery (IPLD) project, which is a highly collaborative construction delivery process. 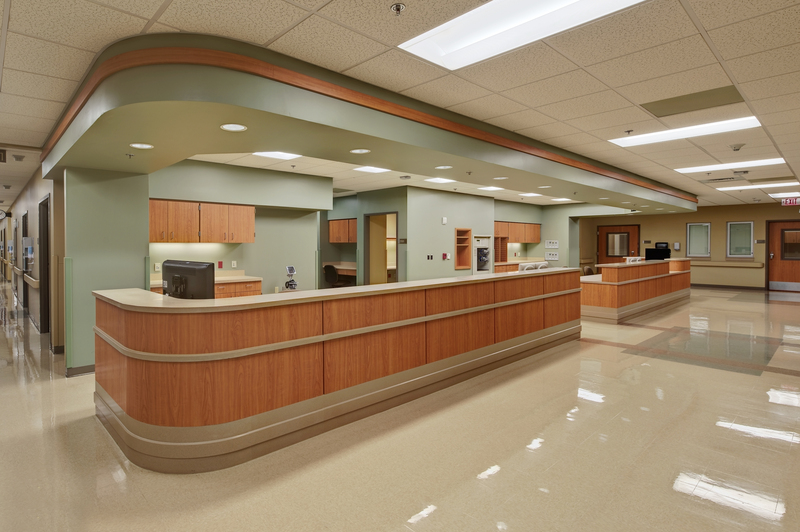 RCM and the IPLD team delivered the new hospital on schedule and under budget. 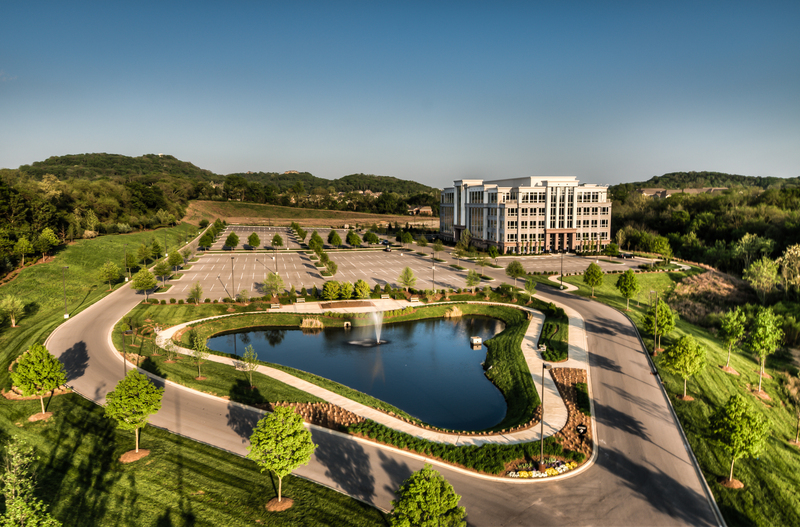 The success realized on this project has resulted in three additional IPLD projects for Universal Health at their Parkwood Facility in Olive Branch, Mississippi, their Rolling Hills Facility in Franklin, Tennessee, and their Lakeside Facility in Bartlett, Tennessee . 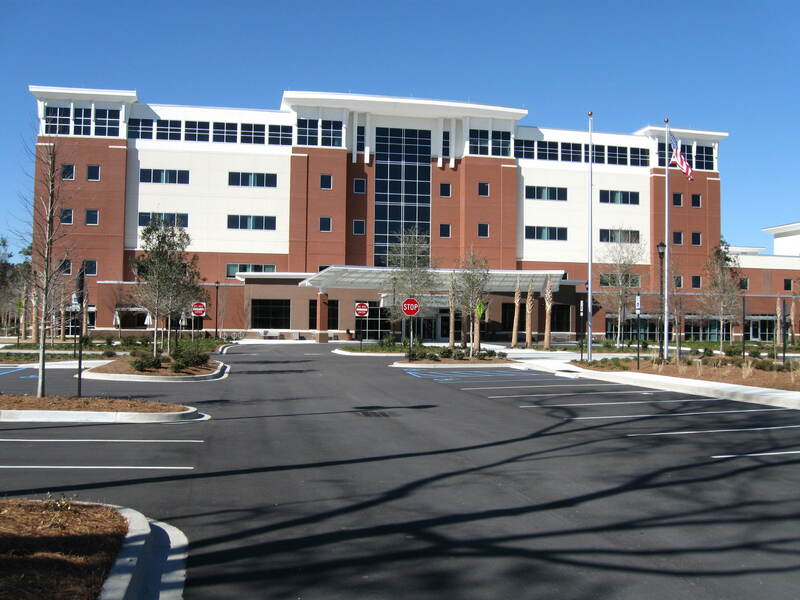 The Community Health System North Okaloosa Medical Center project in Crestview, Florida, is a two-story bed tower addition to an existing facility. 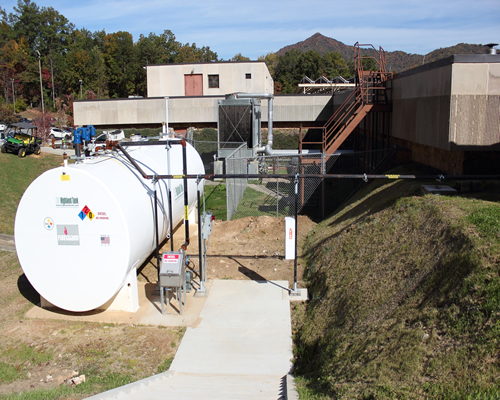 In addition to the bed tower, Rock City Mechanical executed an extensive upgrade and renovation of the existing central energy plant including the chilled water, steam, domestic water, and medical gas systems while maintaining the operation of a functioning hospital. Achieving this required extensive coordination with the existing hospital to facilitate the tie ins of the new chilled water, steam/condensate piping, medical gas, and domestic water utilities for distribution to the new addition with pre-insulated underground piping systems. RCM successfully completed the startup and commissioning requirements of the owner and engineers. 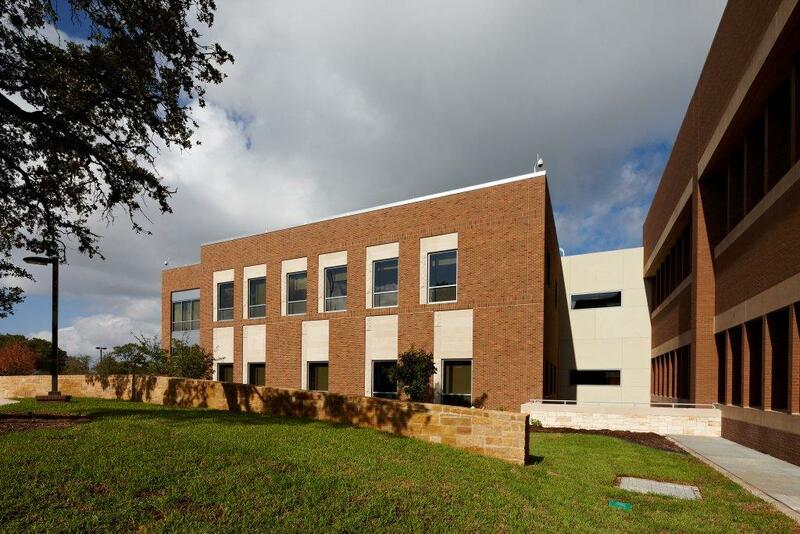 The Audie Murphy VA Hospital Poly-Trauma project is a two-story, 84,000-square-foot diagnostic and rehabilitation addition to the existing VA hospital in San Antonio, Texas, intended to provide rehabilitative care to veterans and members of the Armed Services who have suffered multiple severe injuries. 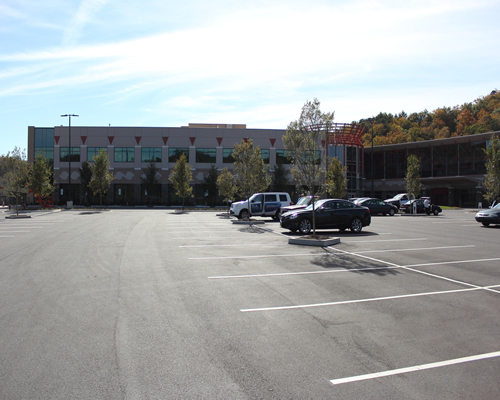 As a part of this project, Rock City Mechanical provided and installed all domestic water, sanitary waste & vents, roof drainage, medical gas and natural gas systems. We also provided and installed chilled water, steam & condensate, and heating hot water systems, as well as medium- and low-pressure duct distribution systems. Additionally, this project required extensive coordination with the existing hospital to facilitate the tie ins of the new chilled water, steam, and condensate piping utilities for distribution to the new addition through new and existing tunnels and crawl spaces. This scope was successfully achieved without disrupting the function and operation of the existing facility. 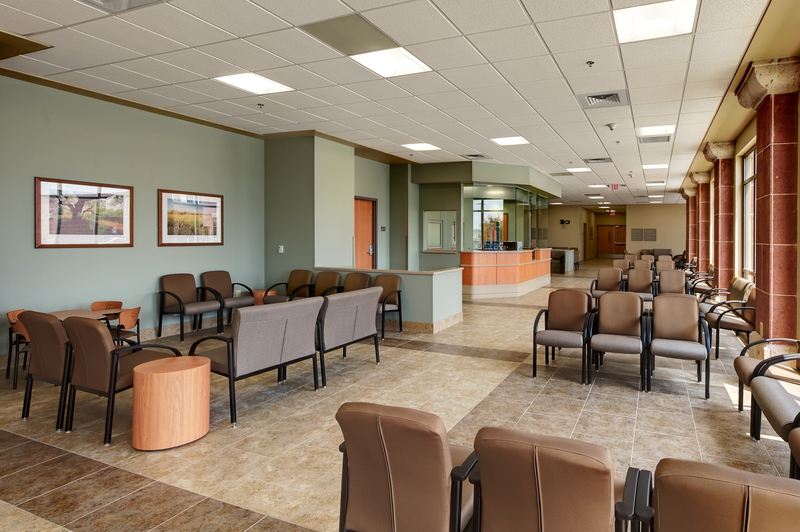 The Community Health Systems (CHS) Longview Regional Medical Center renovation and addition project in Longview, Texas, was a fast-track multifaceted project consisting of several additions and renovation areas including; 1. Three-story patient bed tower addition; 2. Two-story patient bed tower overbuild addition; 3. OR/PACU addition; and 4. Multiple interior renovations. To support the new additions a new central energy plant, including chilled water, condenser water, steam, domestic water, and medical gas systems, was added. Rock City Mechanical was awarded this project based on a design assist guaranteed maximum price contract, and we successfully delivered the project on time and on budget and with all startup and commissioning requirements schieved to the satisfaction of the owner and engineers while maintaining the operation of the existing hospital. 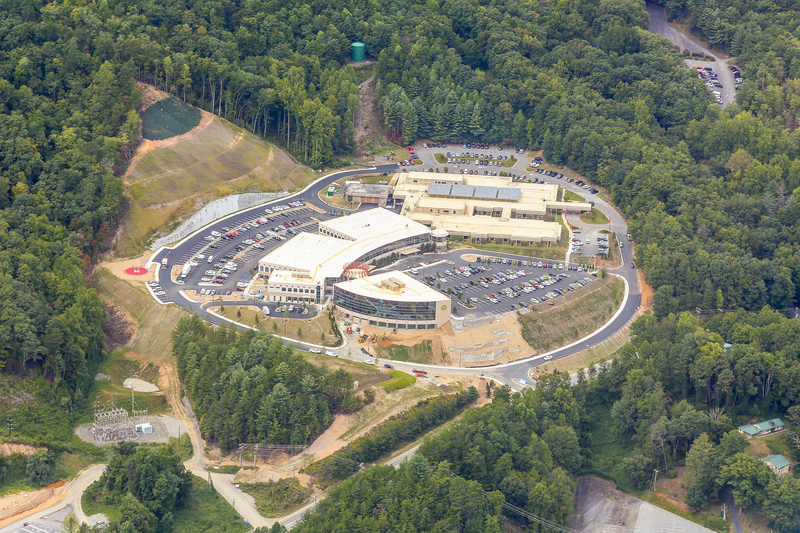 The Cherokee Indian Hospital Association New Hospital project in Cherokee, North Carolina, is a three-story replacement facility built adjacent and tying into the existing Cherokee Hospital. The project included the expansion of existing central energy plant including major upgrades to the chilled water, heating hot water, domestic water, and medical gas systems. 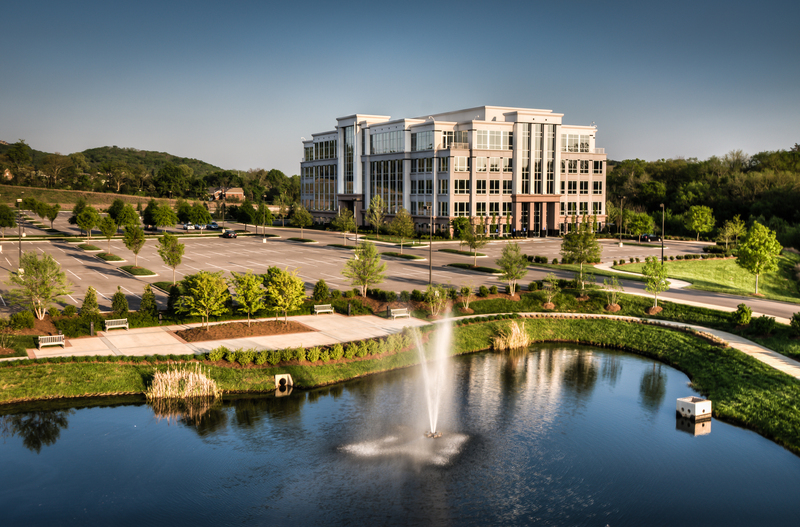 Rock City Mechanical was brought on at the architectural block study (pre-schematic) level to provide design assist services and pre-construction services to the owner, general contractor, and design professionals. 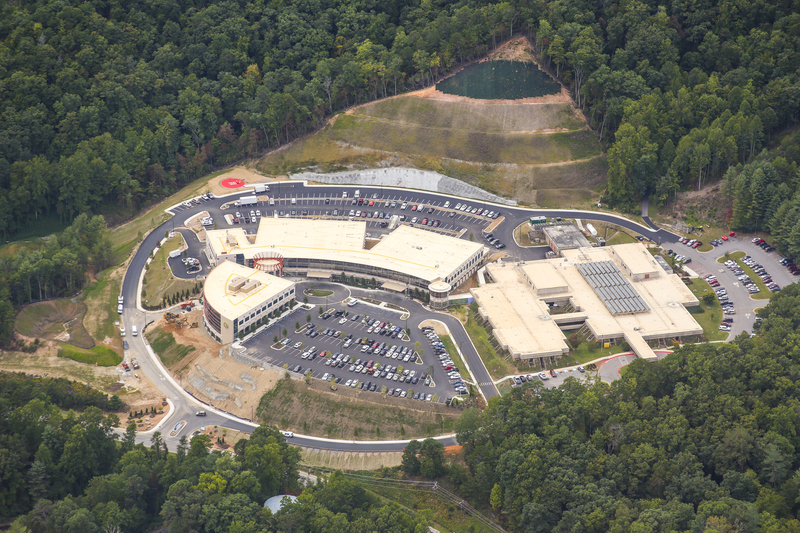 This project is also an Integrated Project Lean Delivery (IPLD) project and Rock City Mechanical is part of a select team of planners, designers and contractors tasked by the Eastern Band of the Cherokee Nation with designing and building a state-of-the-art healthcare facility. 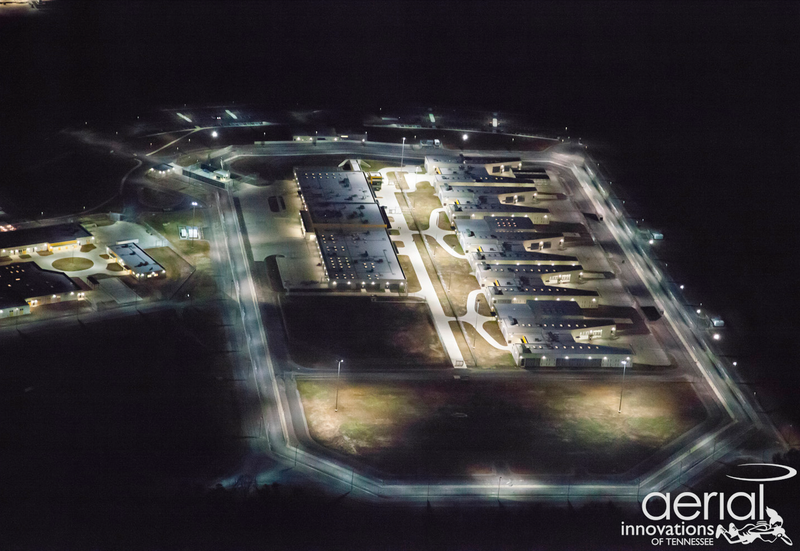 The Bledsoe County project is a 460,000-square-foot, 23-building correctional facility for the State of Tennessee located near Pikeville, Tennessee, constructed to house medium, high, and maximum security inmates. The project was designed in accordance with LEED standards to be an energy efficient sustainable facility. The state-of-the-art mechanical system includes a geothermal ground-source heat pump system with energy recovery that inherently provides an energy efficient means of comfort heating and cooling of the occupied spaces, as well as an energy efficient and environmentally friendly means of generating domestic hot water. Rock City Mechanical’s scope of work included the HVAC equipment , medium- and low-pressure duct distribution systems, above-ground geothermal pumping & piping distribution system, natural gas piping, specialized exhaust systems, building automation system, sanitary waste & vent system, grease waste system, and domestic water system, all designed and installed to conform to the Department of Corrections standards for regulated space conditions and to maintain or enhance the security of the facility. The Siemens Engine Plant project is a fuel injector manufacturing facility in Ladson, South Carolina. The project involved chilled water systems, rooftop air-handling units, exhaust systems, VAV distribution, air rotation units, domestic water systems, sanitary waste & vent systems, and compressed air systems. 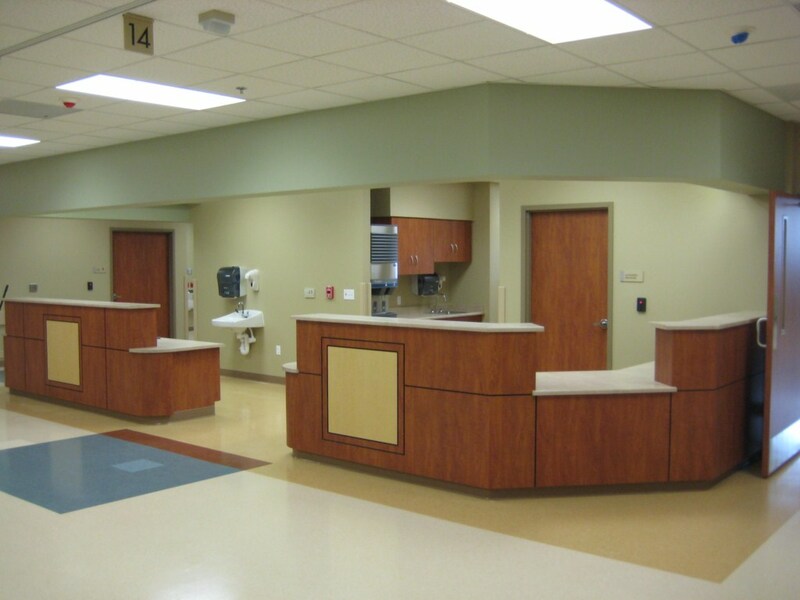 Rock City Mechanical was brought on in a design/assist subcontractor role and worked extensively with the owner, general contractor, and design professionals from the design development document stage through construction documents to construction of the facility. This University of South Alabama Cancer Treatment Center project is located on the Mobile Clinic campus in Mobile, Alabama. This project is a 105,000-square-foot state-of-the-art cancer research facility. 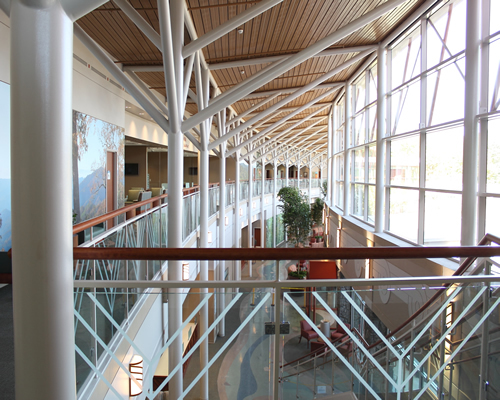 The facility consists of a three-story clinical wing and a two-story research wing. The mechanical systems include chilled water and hot water central plant facilities with custom air-handling equipment and VAV/CAV distribution. 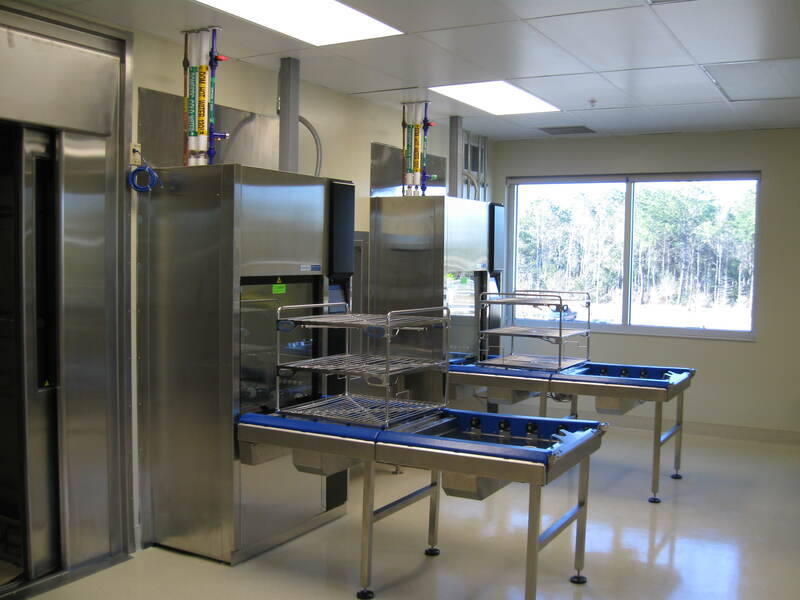 The research wing consists of mostly lab facilities and involved biohazard welded stainless steel exhaust systems, redundant air handling and exhaust systems with an emphasis on pressurization control, and extensive lab gas systems. The Western Star Truck Assembly Plant is a new truck assembly facility outside Columbia, South Carolina. The project involved chilled water systems, rooftop air-handling units, exhaust systems, VAV distribution, air rotation units, domestic water systems, sanitary waste/vent systems, and compressed air systems. 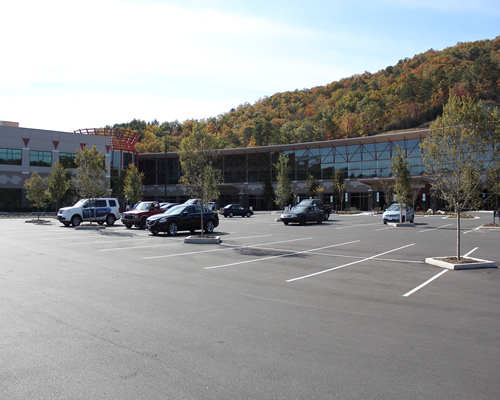 Rock City Mechanical was brought on in a design/assist subcontractor role and worked extensively with the owner, general contractor, and design professionals from the design development document stage through construction documents to construction of the facility.